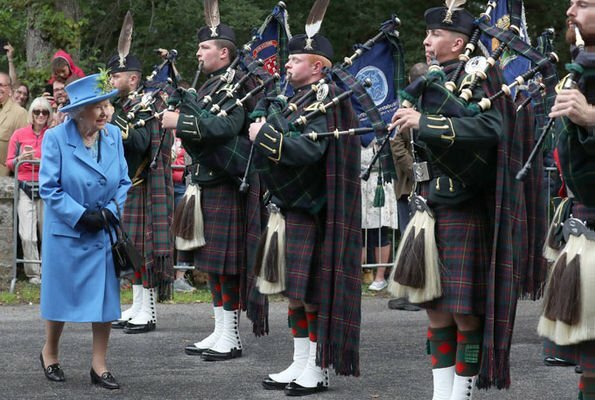 Queen Elizabeth II arrived at Balmoral Castle to begin summer holiday. 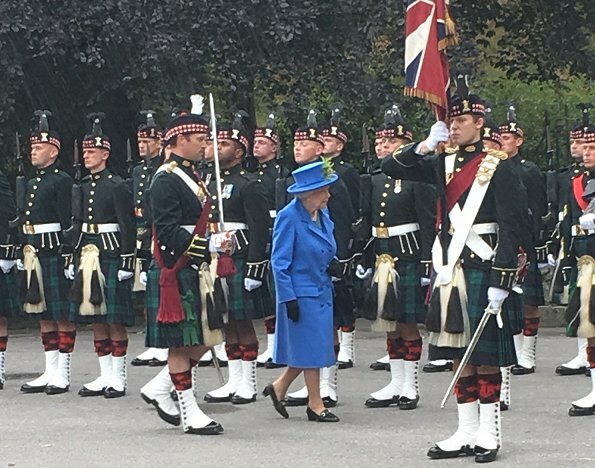 The Queen is welcomed to Balmoral Castle in Aberdeenshire in traditional style today by the Royal Regiment of Scotland. 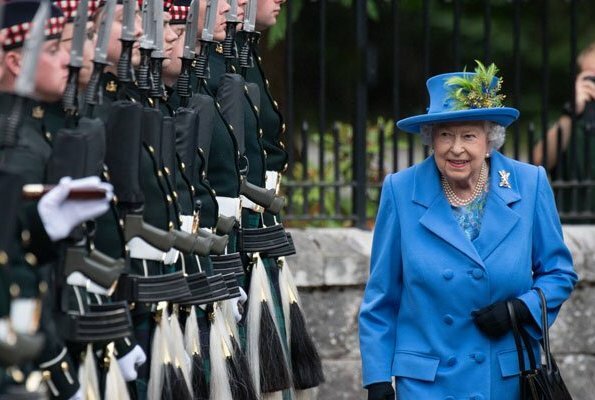 The Queen inspected the battalion, who will provide guards for the duration of her holiday, outside the castle gates. 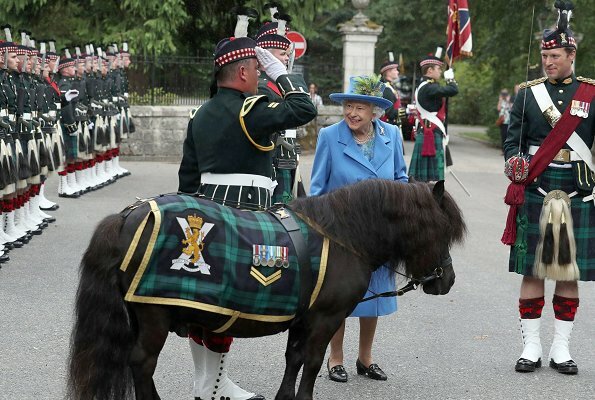 Balmoral Castle is the summer residence of Queen Elizabeth and the Royal Family. Why? Phillip will be there as usual. Everyone will be there off and on. How's the weather in Balmoral? Is it not warm there? It's about 20 degrees I think. Not especially warm compared to further south. Thank you, Franny. I was wondering if the coat is not to warm. But 20 degree is not a high temperature. Love how happy she looks. She looks very happy, and she has the most wonderful smile. Nice outfit.